Viaccess-Orca's latest VR experience features sweeping views of 360-degree UHD content. Focusing on the concept of smart and secure solutions, Viaccess-Orca has revealed its plans for IBC 2016. The content protection providers will showcase their latest solutions for security data analytics, and provide immersive video experiences to help shape a smarter and safer digital life. 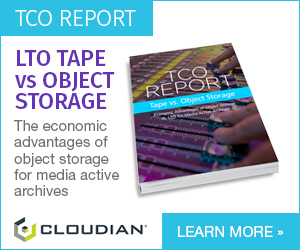 Viaccess-Orca will demonstrate advanced analytics and monetization capabilities for its cloud-based ‘Voyage - TV Everywhere as a Service’ (TVaaS). The demonstration will highlight the integration of a new HTML5 Web player, which will enable new monetization opportunities, through pre-roll multiscreen advertising, for service providers to benefit from. 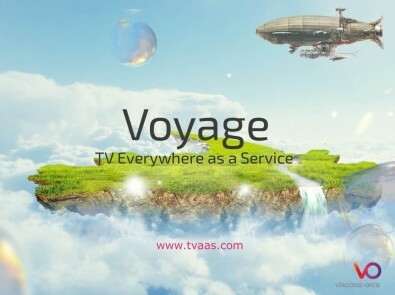 Because it is a cloud service, Voyage – TVaaS offers quick and easy monetization within the multiscreen environment. The system takes advantage of new business models, enabling service providers to quickly respond to dynamic market conditions. Voyage – TVaaS provides substantial security capabilities by utilising Viaccess-Orca’s multiplatform media player SDK, a Connected Sentinel Player that incorporates digital rights management for premium VOD and live content. Building on data science expertise, the program allows content service providers to unlock the value of their data. Voyage - TV Everywhere as a Service, also known as TVaaS, haas just been integrated with a new HTML5 Web player. Further, at IBC 2016, Viaccess-Orca will demonstrate a set of best-of-breed premium content protection technologies for 4K UHD HDR HEVC-enabled STBs already deployed by Orange, one of Europe's foremost operators. This solution is powered by Viaccess-Orca's security technologies, including the Adaptive Sentinel, which features a unique dual-card and card less conditional access system based on software and hardware security. Viaccess-Orca's security value proposition includes unified CAS and DRM agents for live and VoD content, as well as the proprietary Viaccess Security Environment executed in the trusted zone of the chipset, ensuring the highest level of security required for 4K UHD content. Viaccess-Orca will also showcase its Virtual Arena platform for 360-degree virtual reality video management, interactivity, and secure playback pre-integrated with an end-to-end, best-of-breed ecosystem. IBC attendees can stop by their stand to see an outstanding VR experience featuring sweeping views of 360-degree UHD content. The pre-integrated ecosystem is designed to accelerate the deployment of a fully immersive TV experience on consumer-grade head-mounted displays connected to a smartphone. VO Dongle provides full control over content delivered to viewing screens. In terms of data collection, extraction of insights and targeted advertising by leveraging the multiple sensors involved in a virtual reality environment, the VR demonstration will highlight the advanced capabilities of the new platform. Lastly, Viaccess-Orca will present the new VO Dongle. The VO Dongle is a powerful streaming device that offers a seamless, secure, and connected television experience, in any location. Created to address the continuous business challenges faced by the digital consumption market, the VO Dongle allows operators to have a full control over the content delivered from their viewing screen.